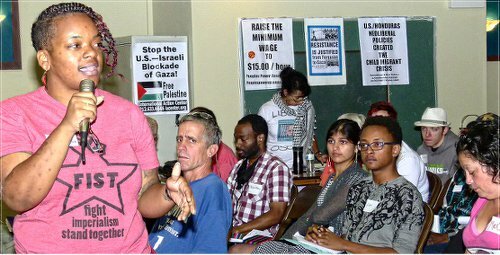 UNITE HERE Local 7 member Sara Benjamin at socialist conference, Sept. 13. 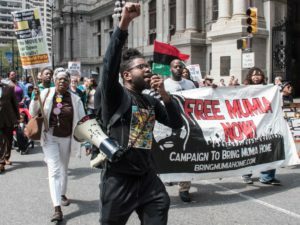 Some 100 community members, students and activists attended the Philadelphia Workers World Party Socialism Conference on Sept. 13 held at the historic Church of the Advocate, a center of struggle for Black liberation. 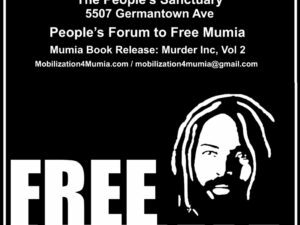 Speakers included WWP First Secretary Larry Holmes; secretariat members Deirdre Griswold and Sara Flounders; Berta Joubert-Ceci, leader of the Philadelphia branch of Workers World; Scott Williams from Fight Imperialism, Stand Together; and Pam Africa, leader of the MOVE organization and the International Concerned Family and Friends of Mumia Abu-Jamal. Temple student activist Katherine Mejía from People Underground for Revolutionary Progress; immigrant activist María Serna; Lamont Lilly, anti-police brutality activist from North Carolina; and Dr. Anthony Monteiro, long-time revolutionary activist from North Philadelphia, were also featured speakers. 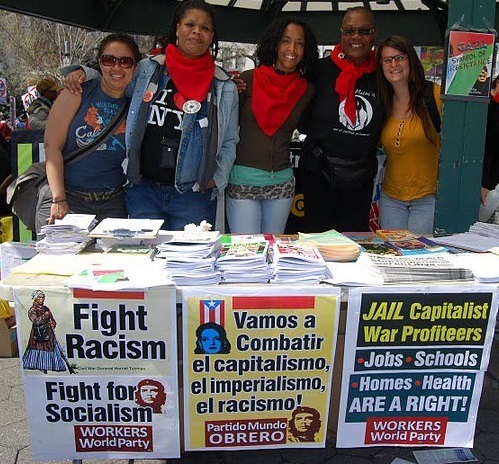 The conference’s three segments addressed the tasks at hand for the working class and oppressed in the U.S. — the center of world imperialism; the need for a globally united working class to combat capitalist oppression and environmental destruction; and why only socialism can overthrow capitalism and liberate the working class. Several speakers raised the resistance to racism and police brutality exemplified by the uprisings in Ferguson, Mo. As the U.S. ruling class again bangs its war drums, this time with Syria in the crosshairs, conference participants opposed yet another U.S. war. Joyce Chediac, Lebanese-American activist, editor of “Gaza: Symbol of Resistance” and another of the featured speakers, said the U.S. ruling class and military are the primary enemy, not ISIS. She called the heroic resistance in Gaza a setback to Israeli occupation. U.S. imperialism’s systematic destruction of and attacks on progressive organizations in the Middle East left a vacuum for ISIS to gain footholds in the region, Holmes pointed out. Speakers agreed unanimously that there can be no peace or stability in the Middle East while the U.S. bombs people, invades countries and overthrows governments with impunity. 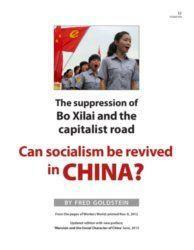 Holmes called for principled unity on the left in the face of unbridled capitalist destruction.